Preheat the oven to 180C for 15 minutes. 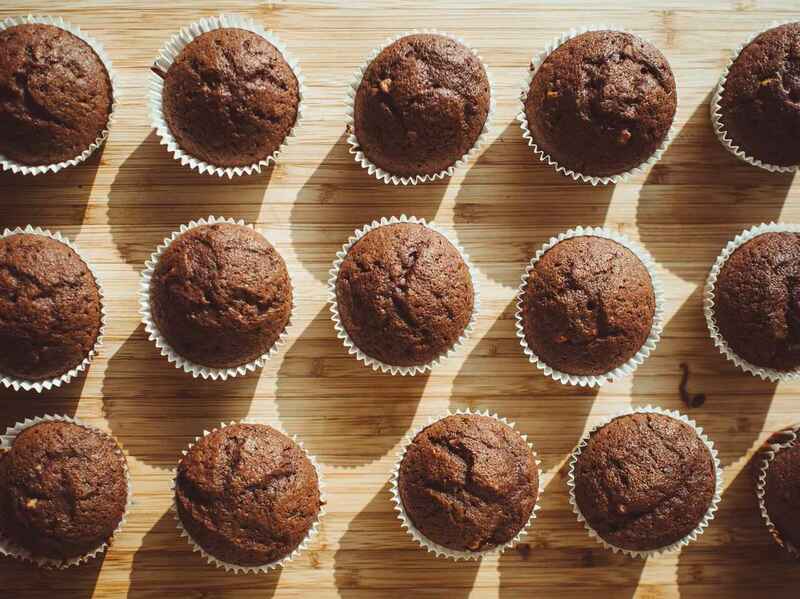 Line a 12 cup muffin pan with paper liners or grease it with non-stick cooking spray. Mix together 1/2 cup almond milk and vinegar; set aside for it to curdle. In a large bowl sift together the flour, cocoa, baking soda, baking powder, sugar and salt. In another bowl combine the mashed bananas, curdled almond milk, vanilla extract and oil. Add the wet mixture to the dry ingredients and mix until just combined. Stir in the chocolate chips. Spoon approximately 1/3 cup of batter per muffin. Bake for 20-25 minutes or until a toothpick inserted in the centre of the muffin comes out clean. Transfer the pan to a wire rack to cool. If using paper liner, you should be able to lift the muffins off the pan after 5 minutes.